Syrian refugees returned to Turkey as part of a controversial deal with the European Union are being held without access to lawyers or specialised medical care. 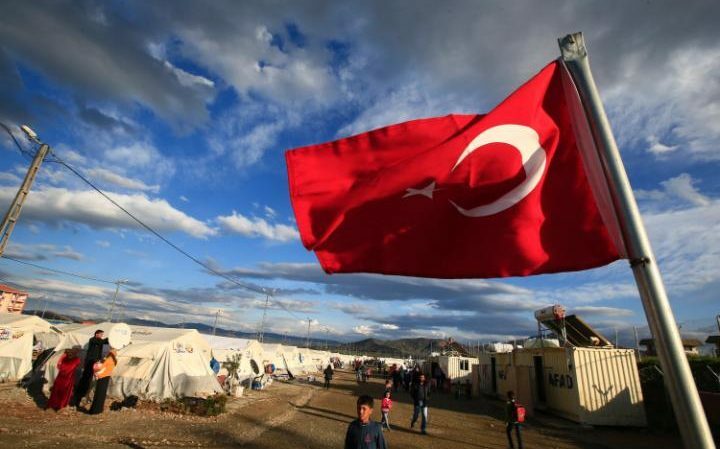 A group of 12 Syrians are being held in Düziçi, a remote detention centre in southern Turkey, while others have not been heard of since their flight arrived from Greece in April. “You can’t imagine how bad a situation we are in right now,” a woman detained with her children told the Guardian newspaper by phone. “My children and I are suffering, the food is not edible. Among the group is at least one pregnant woman. The whereabouts of two more Syrians returned from Greece last month remains unknown. Several Syrians held in Düziçi had lived in Turkey before trying to seek asylum in the EU. “We cancelled our asylum claims in Greece to come back to our homes, not to this prison here,” another inmate, who asked to be known by the pseudonym of Lara, told the Guardian. Turkish officials have described the camp as a place where the refugees “accommodated” were those who were “homeless or engaged in begging”. On 2 December, official statistics said there were 377 Syrian refugees at the facility, of a total of nearly 1,500 people held there since it opened three months before. The fate of the newly returned refugees casts further doubt on the viability of the EU’s flagship refugee deal, an agreement premised on the idea that Turkey is a safe country of asylum for refugees fleeing war. After less than two months, it is already on the rocks. Since the outbreak of war in neighbouring Syria, Turkey has hosted more refugees than all other countries combined. But it has also been accused of human rights abuses against those seeking safety within its borders, including shooting Syrian refugees on its southern frontier, and beating others people in detention centres. Separately, hundreds of non-Syrians deported under the deal to a separate camp have told MEPs that they have not been given the opportunity to claim asylum. Ankara is currently at loggerheads with the European parliament over the deal’s stipulation that Turkey must amend its anti-terrorism laws in order for citizens to win visa-free travel to Europe, one of the agreement’s key prizes. Addressing Turkish businessmen in Vienna late Monday, Foreign Minister Mevlut Cavusoglu said Turkey would never "give in to such impositions." In a message posted to his Twitter account on Tuesday, Donald Tusk, the European Council president, insisted the EU would work with Turkey if it upheld its side of the deal. “EU stands ready to fulfil its part of EU-Turkey deal as long as Turkey agrees to play by the rules, and not with the rules,” he wrote.